YOU GUYS!! IT’S VEGAN DONUTS!!!! Ever since I went vegan, I’ve been craving donuts which is odd since I haven’t had donuts in over 3 years. 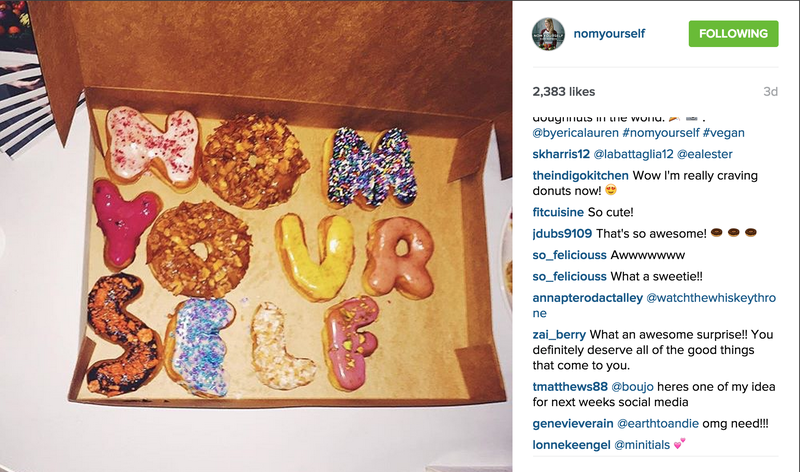 I’ve been looking for a vegan donut for a while and I literally jumped when I saw Nom Yourself’s insta pic. She got custom made donuts from Donut Friend which is a Peta certified vegan- friendly donut shop, located in Los Angeles. I found out about this on Sunday and luckily for me, I was still in the LA area. My mission was to go to Donut Friend before I went home. I drove 30 minutes out of my way just to try their donuts. Sounds crazy but when you live in an area that doesn’t just cater to vegans, things like this is exciting and I wanted a freakin donut. Plus I didn’t hit traffic so I was fine. I was so excited to try vegan donuts that I almost cried. It looks small from the outside but once you go inside, it’s pretty spacious. They also have this really cool mural with animals on it. If the store itself was giving off a vibe, I would say it’s quirky, clean and unique. There were tons of donuts and I was so overwhelmed (and overly excited) that I needed help. “Donut Freaks” aka Donut Friend’s employees were really nice and helped me pick out my donuts. They were also super chill and patient with me because I was so excited. Again, when you’ve been craving donuts as long as I have, you would be excited too. I ate the the cinnamineral and I kid you not, it was the most amazing thing I’ve ever eaten. It was crispy, sweet, soft and just amazing! I’m getting hungry just typing this out. Since I lived 4 hours away from LA, I’m going to bring a box home. The “Donut Freak” helped me pick out: Polar Berry Club, rites of Sprinkles, Strawberry Lab and X-Ray Speculoos. My dad, the man who eats meat and calls vegans, “Ve-gun” liked the Strawberry Lab! He even texted me to tell me it was delicious! Thank you guys for reading today’s blog post, if you liked today’s post please click the like button and don’t forget to subscribe. I post every Tuesday and Thursday with an occasional weekend post. Have a great day! I’ve been craving donuts. Why must you do this to me?! Hey Laura! 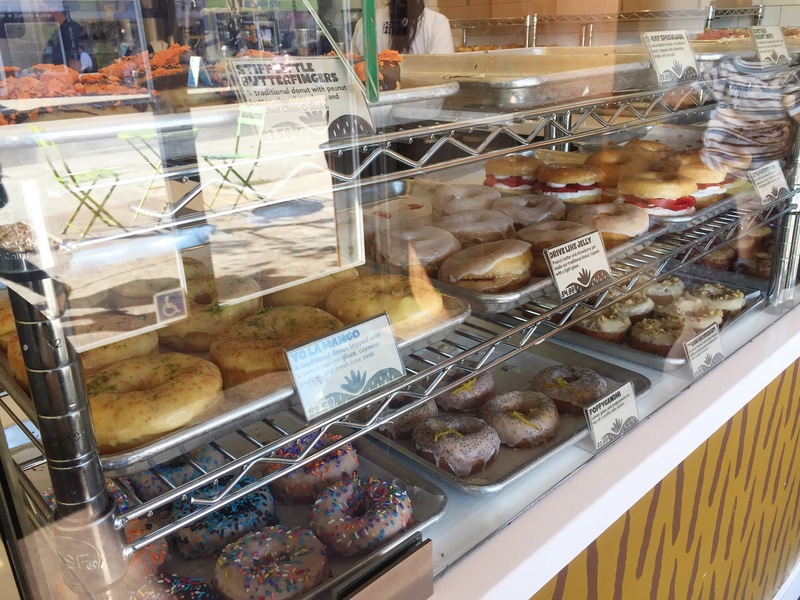 I just heard that this place: http://www.yelp.com/biz/the-donuttery-huntington-beach has vegan donuts! If you’re ever in the area again, it may be worth a shot. I haven’t been to this location — and I’ve only had non vegan donuts from them, but I do know those donuts are good!